Lippy~Art is the name used by artist Leanne Beetham. Leanne was born in 1987 with a condition known as Arthrogyrposis Multiplex Congenita. This condition meant she would never be able to use her arms or walk. Consequently, Leanne has adapted to using her mouth to do most daily tasks, including creating artworks, which she has been creating since she was 3 years old. Since childhood, she has had an affinity for animals, and her two passions have naturally combined. In 2004, Leanne became a student artist for the "Association of the Mouth and Foot Painting Artists" (VDMFK/AMFPA/MFPA); a wholly owned organization run by artists with disabilities, for the benefit of artists with disabilities. All of the artists create artworks using their mouth, feet, or a combination of the two! Leanne is a mouth artist. In June 2009, Leanne graduated in “BSc (Hons) Applied Animal Behaviour & Training” at Bishop Burton College. This course has enabled her to understand her favourite subjects - animals - in further detail, and helped improve her observational skills. Though she has had a passion for both animals and art since childhood, the course has had a significant influence on the ways Leanne views and understands the animals she photographs and paints. Through her new understanding, she is able to capture those small details which make each of her animal subjects unique. Photography enables Leanne to gain inspiration for her artworks; it has become an invaluable reference source, whilst also being a creative medium in itself. Due to her disability, Leanne's camera equipment has been specially adapted to enable her to use it. This was done by a charity called REMAP. Thanks to REMAP, Leanne is now able to manipulate her SLR camera using her mouth, and focus and shoot using the limited movements of her left hand. Since then, Leanne has gained a real addiction to photography. Leanne endeavours to break stereotypes, challenge perceptions, push boundaries, and inspire others to create - no matter what their abilities. She aims to use her art, photography, and live demonstrations to educate the world on the importance of both disability awareness and wildlife conservation. Leanne is always looking to collaborate. She has attended various events; from demonstrations at local schools, to large charity exhibitions in London. 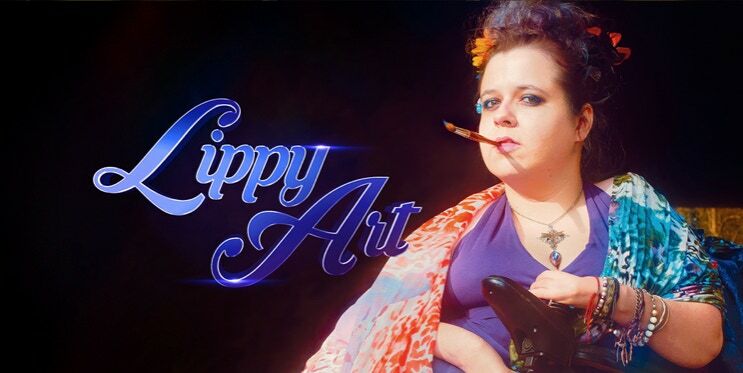 If you would like Lippy~Art to get involved with your project, gallery, or event - leave an email or message via Facebook.